Chimwemwe ‘Dj Wawo’ Mwenyemasi; Andiamo Trust’s own cobbler enjoyed live broadcast on MBC Tv this morning, August 23, on the programme “Good morning Malawi”. 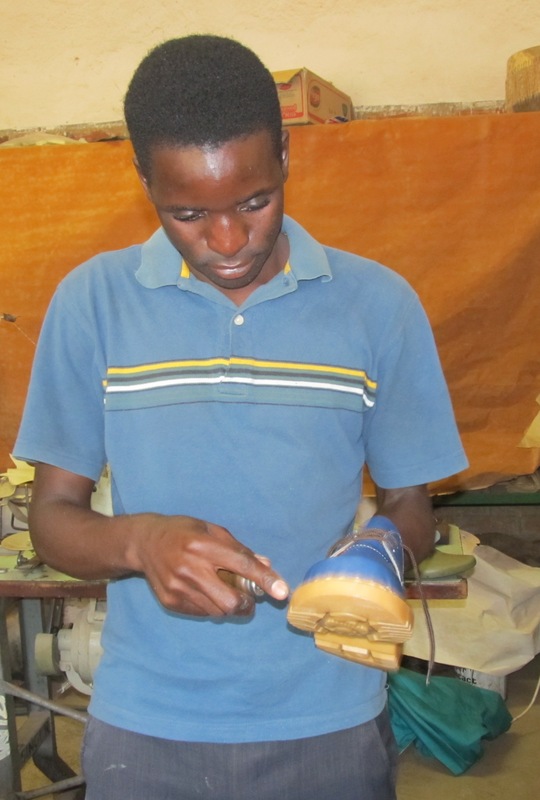 Chimwemwe’s shoe making talent keeps peeking and amazing yet satisfying a variety of his customers. The broadcast advantaged his will to give a wide podium to motivate his fellow youths to use best of their talents and scold malpractices. He pleaded to youths to get focused on what they can do because not everyone can make it to our few fine universities. He applauded Andiamo Trust for efforts and providing all he needed, of which Chimwemwe admits have nurtured his talents to this far. “I can do all sorts of shoe designs” he challenged displaying the samples of shoes he has made. 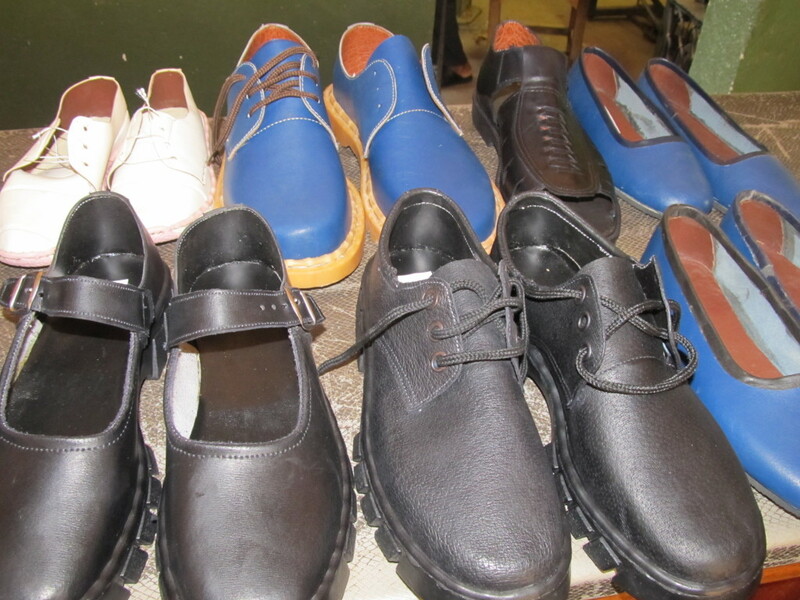 During the interview he disclosed the plans of Andiamo Trust to offer shoe making program in due course to supplement tailoring, carpentry, motor vehicle mechanic and electrical. 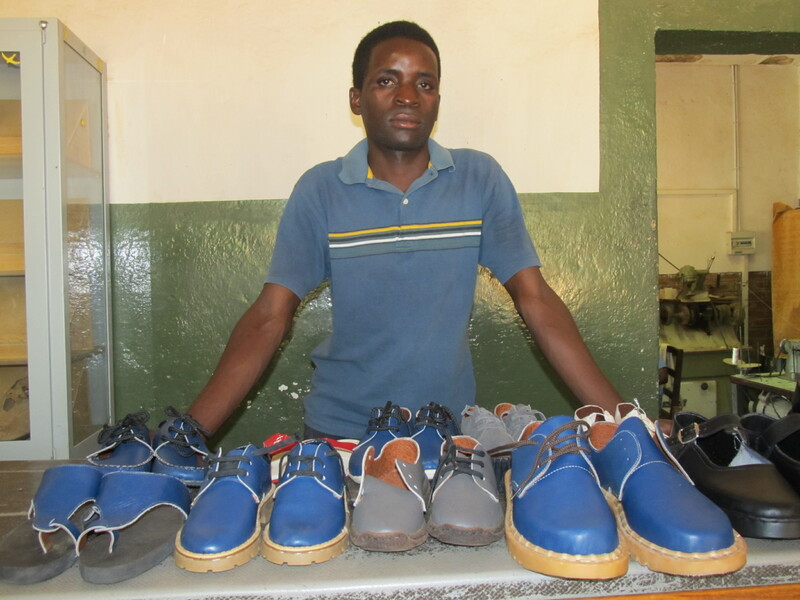 This entry was posted in Education, News from Malawi, Social Development and tagged Andiamo Youth Cooperative Trust, Chimwemwe Wawo Mwenyemasi, Harry Pongolani, MBCTv, Shoe making, Youth and talent. Bookmark the permalink.